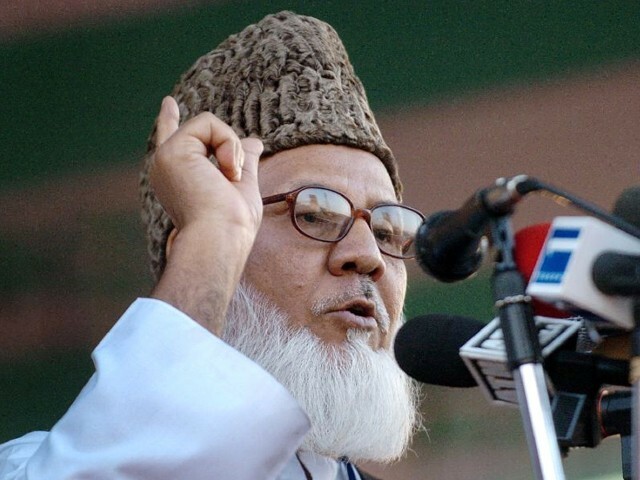 On May 11, 2016, Bangladesh hanged Motiur Rahman Nizami, the 73-year-old leader of the Bangladesh Jamaat-e-Islami. He was the leader of the militant group Al Badr. The searing irony of this saga is that Pakistan’s ruling elite in 1971 outsourced the safeguarding of Pakistani nationalism to unsavoury characters from the Jamaat-e-Islami’s student wing when Jamaat-e-Islami itself had opposed tooth and nail the creation of Pakistan just 24 years earlier in 1947. The brigands of Al Badr were launched by the Pakistani military against a Bengali population which had in 1947 stood unwaveringly with Mr Jinnah and the Muslim League in the Pakistan Movement. In 1965 the same Bengali population had voted en masse for Fatima Jinnah against Ayub Khan. On both occasions – in 1947 and 1965 – Sheikh Mujeeb ur Rehman, the future father of Bangladesh, was at the forefront of the movement. In the 40s, he had famously cycled from one town to another to attend a Muslim League rally. It was young men like Sheikh Mujeeb ur Rehman who had taken the message of the Muslim League to the nook and cook of Bengal. Without Bengalis, Pakistan would never have been possible. In 1971, the same Bengali population was being treated as traitors to Pakistan by a military regime that was incapable of telling friend from foe. We must recognise as Pakistanis that the demands Sheikh Mujeeb ur Rehman had laid before West Pakistani rulers were in complete consonance with the Lahore Resolution of 1940. We must also accept that Sheikh Mujeeb had won the election and instead of imposing a centralised majoritarian rule on Pakistan, the Bengali leader was offering Pakistan a vision that was not too different from the one Mr Jinnah had asked for in United India. Truth be told, a stronger, fairer and more democratic Pakistan would have emerged had we had the foresight to accept Mujeeb’s six points, just as a fairer more democratic and truly federal India would have emerged if Congress had accepted Mr Jinnah’s vision for a United India. Instead both Mujeeb and Mr Jinnah have been cast as separatist founding fathers of the states that they fathered only reluctantly. Every Pakistani should read Mujeeb’s unfinished memoirs to at least learn the other side of the story. Mujeeb was a patriot who wanted equal rights for his people in the Pakistan that he had fought for as a young activist. Instead of learning from history, the myopic centralising objectives of the Pakistan’s ruling junta put us squarely on the wrong side of history. We let loose gangs of brigands, including people like Motiur Rahman Nizami, on a hapless population whose only crime was that they had voted for the Awami League. In the last days of the unfortunate war which saw the dismemberment of Pakistan, Al Badr along with Al Shams and the Razakars went on a killing spree against Bengali intellectuals. It was for these crimes that Motiur Rahman Nizami was tried and hanged by Bangladesh. One is not enamoured with the death penalty but one cannot help but think that if there was any occasion for the award of the maximum punishment, it was this. As a Pakistani, I am ashamed of my country’s response to the matter. The Foreign Office denounced the hanging saying that Motiur Rahman’s only crime was that he was loyal to the Pakistani constitution. What constitution was in force in Pakistan in 1971? The Constitution of 1962 had been abandoned. The interim Constitution of 1972 or the present Constitution of 1973 were yet to be enacted. There was no constitution to be loyal to. What we had was an illegal usurper regime in power in Pakistan which was denying the elected majority party of Pakistan, the Awami League, the right to form its government and to fashion Pakistan according to its will. When history is written impartially this is the only version that will survive. The great tragedy of Pakistan was that usurpers were in power by virtue of their bayonets and not by the will of the people. Bangladesh has attempted to right the wrongs of the past through making war criminals accountable. One can disagree with their approach, but one cannot deny that it is their internal matter now. Pakistan’s reaction on the issue will only widen the gulf between the two states. More importantly it is a message that we still have not learnt from the mistakes of the past. Indeed we continue to repeat the same mistakes, be it while dealing with Baloch separatists or through our continuing relationship with the ‘good’ Taliban in Afghanistan. The situation calls for a clean break from the past but it seems that the think-tanks of the Pakistan’s deep state are only busy regurgitating questionable wisdom of the past. Meanwhile, Turkey’s decision to recall its ambassador from Bangladesh in wake of this hanging is also instructive. That country, too, has unfortunately been unable to come to terms with actions of the Ottoman Army against its Armenian population at the end of the First World War. It sees, therefore, a parallel between Bangladesh and Armenia. Both Pakistan and Turkey are living in denial about the past. Modern nations, secure in their identity, do not need to sweep past atrocities under the carpet. Both Pakistan and Turkey must accept that atrocities were committed against sections of populations that were their own citizens at the time. It does not mean accepting extravagant claims of genocide necessarily and, truth be told, on all sides there has been a lot of exaggeration. Still, both Turkey and Pakistan must accept that they failed their own citizens. Lashing out at Bangladesh will not change the facts of history. Do you agree or disagree with the author's opinion? As usual, the article is more on Pakistan and Bangladesh’s ugly history than the case of Nizami, or the targeted prosecution of JI (current govt.’s opposition in alliance with Khaleda Zia) – very few in Pakistan deny their mistakes with regards to Bangladesh. West Pakistan’s injustice with East Pakistan does not equate to ‘punish JI’. The writer has presented no solid reasons for calling Al-Badr as ‘brigands’, when simply put, it was a civil war issue and one side supported Pakistan and the other didn’t (Quoting Nadeem Paracha’s opinion piece doesn’t make it a fact). Many atrocities were committed from both sides (quite how one ignores what happened from Mukti Bahini and its supporters baffles me). Yet, it seems the writer conveniently forgets that all JI leaders being hanged right now are Bengalis – sons of that particular soil, who have actually taken an active part in Bangladeshi politics. What has the govt. got to achieve after passing of 45 years one must ask? One must research the low standards of Bangladesh’s International War Crimes Tribunal, the controversy surrounding the judges who are involved in this, the govt. that is pressuring them to give certain verdicts. One must research the scandal where one of the judges was recorded taking verdict drafting dictations from Brussels, and how the local media channel who broke this story was banned. Also, check history of Bangladesh since 1971. Awami League & Sheikh Haseena herself has been in power before. JI also has been an active part of Bangladeshi politics post-war. These guys have all been jailed and charged post 2008, after all cases related to war crimes, all suspects had been identified way back in the 90s, and pacts were held not to even prosecute those that were identified. In addition, no JI leader was named in comprehensive post-war reports prepared in the aftermath of the civil war. This is sensational BS the current govt. is cooking up to control national policies. I was there for 3 months, have lived in Dhaka during the times of the Motijheel massacre in 2013. Research that. Research how Awami League rigged their elections in 2013, how they refused to provide a caretaker set up for elections, how the main opposition parties BNP and JI were hunted, forcing them to boycott. Research on Khaleda Zia, leader of the opposition and in alliance with JI, and the threat she posed to the current socio political environment in Southeast Asian politics. In your long diatribe, you have not answered the key question. What business is it of Pakistan’s what Bangladesh does with its judiciary? It’s a Bangladeshi citizen executed by a Bangladeshi government according to a sentence handed out by a Bangladeshi court. Thia article is an absolute fact. Please read the Tripartite Agreement once again. No one beats Pakistanis in their selective quoting of agreements to suit their purpose and you wonder why no one takes you seriously. Did India force you to impose Urdu on Bengalis when when in fact Bengalis were a majority in United Pakistan? Did India force you to deny the right to become PM for entire Pakistan after he had won the mandate? Did an Indian general threaten to change the nasl ofBengalis? In a civil war, soldiers of one side kill soldiers on another side. IF someone kills civilians, they are considered war criminals. In any case, why did Pakistan deny Pakistani citizenship to those people who were loyal to Pakistan and wanted to move to Pakistan after Bangladesh was formed? Had those people been allowed to move to Pakistan and become Pakistani citizens, there would have been no one left for Bangladesh to prosecute. 1. Let a Bangladeshi write about the atrocities committed by Mukti Bahini. 2. The fact that they are Bengali sons of the soil only proves the point that this is an internal matter of a sovereign state. The writer is saying nothing original with his fulminations on the mistakes of the Pakistani establishment and the ill treatment of Bengalis. We are forty years out from 1971 now, however, and Sheikh Hasina’s government today is setting fire to Bangladesh’s society and politics with a vengeful, populist, and deeply flawed quasi-judicial trials process, which, incidentally, targets only her political opponents. What about the powerful Bangledeshi army circles who murdered her father and her whole family? What about the draconian military rulers of the late 1970s and the 1980s? What about the Indians who killed 5,000 Bangladeshis at Nellie in 1983? Jinnah actually created 2 countries – Pakistan and Bangladesh. He created Bangladesh the moment he imposed, in his ignorance, an alien language Urdu over the Bengalis, who formed the majority. This act was the seed which grew into Bengali nationalism and eventually Bangladesh. Congress had better sense(well, duh!). Today 29 languages are official languages of India. No language is imposed on anyone. Please go through the clauses of the Tripartite agreement of 1974 where Pakistan agreed to put on trial more than 100 Pakistanis for war crimes! Note that Pakistan renigged on this part of the agreement, among other clauses following 1974, leaving the agreement void! The primary responsibility for the partition of India lies with Congress which rejected the Cabinet Mission Plan which Jinnah had accepted. Jinnah had argued for a state language not national language. In any event Bengali became the co-national language of Pakistan in 1952. Bengali nationalism could have been accommodated in Pakistan if West Pakistani leadership had the foresight to accept the 6 points by Mujeeb. In this very long ‘diatribe’ as you call it, there’s the reference of the tripartite agreement. Bangladesh is violating that agreement. Next, Bangladesh is also violating Human Rights laws, through its oppressive tactics (Motijheel massacre for e.g.) and interference with judiciary decision. Also this war crime tribunals is a direct assault on Pakistan’s global image as well – they are reigniting hatred within the Bangladesi masses, and also the people being tried were loyal to Pakistan – hence becomes a very Pakistani problem. Pakistani masses as a whole generally accept their part in the atrocities that were done with the people of Bangladesh. However, there was also a lot done from the other side, it was a civil war that saw human rights atrocities from both sides, though more from West Pakistan of course. However, 45 years later with all the time in the world to prosecute war criminals, the BD govt’s timing to raise this issue now and their methods should be a cause of concern for the Pakistani state. Isolation of Pakistan is in full flow. 1. Why should you get to make a call on who writes about Mukti Bahini? That equates to saying as a Japanese war veteran of World War II, I will only speak of the mistake we did by attacking Pearl Harbour, not the US obliteration of our cities through nukes. When you write on a war, you cover all aspects, otherwise you look like a writer with an axe to grind. 2. Not really. Since Bangladesh was a part of Pakistan when the civil war took place, since there’s a tripartite agreement between Bangladesh Pakistan and India in place, since these issues relate to Human Rights violations as pointed out by many foreign journalists as well by the way, and since the war crimes are being held against those who supported Pakistan in 1971, and are still part of the pro-Pakistan lobby with opposition leader Khaleda Zia, this does not make it an internal matter of a sovereign state. 3. You are confusing a lot of statements given by Maududi on the Muslim League, with statements given on Pakistan. Yes, Maududi was initially, ideologically against the creation of Pakistan (which we conveniently forget so was Jinnah for the initial years), but most of his reservations was on Muslim League leaders within Pakistan, the future of Islamic governance and the muslims in the subcontinent which would not form part of Pakistan. If you genuinely read Maududi’s detailed views instead of tidbits from tabloids and newspapers, you will know better. You would also learn that once Maududi and Jinnah saw eye to eye, Maududi did a lot of work during Pakistan’s creation as well. Also I don’t see why this acts as a support to your article? What relevance this has to the events in 1971? Its funny how matters that seem to be of inconvenience particular related to religion or religious groups become matters not related to us. This is bogus logic really. If tomorrow Balochistan was separated from Pakistan, and the people fighting in Balochistan to keep it within Pakistan, in co-operation with the establishment become nationals of Balochistan as Balochistan attains independent state status, and get prosecuted against unfairly on biased trials, the government of Pakistan will be right to abandon them? Wow this logic really defines patriotism for me. JI is being prosecuted for charges that relate to JI providing service to Pakistan’s then government and military by fighting to keep Bangladesh a part of united Pakistan. The same war crimes, of which it was cleared of where a list of 195 people tried for war crimes, there was no JI leadership involved. Neither did the Awami League (the party in government now) tried JI leadership on war crime charges when it was in power in 1972-75 and 1996-2001. In addition a multi-lateral agreement was signed between India Pakistan and Bangladesh that decided to drop war crime charges against the 195 people that were identified by the government of Bangladesh itself. Bangladesh government have also made amendments to their 1973 constitution on clauses covering war crimes that are in direct violation of the Treaty of Rome they signed to become a state member of International Criminal Court. Also, by accusing JI of war crimes, government declaration of JI guilt before trial, and the subsequent harrassment violates the International Covenant of Civil & Political Rights and the Universal Declaration of Human Rights. So my dear friend, considering that many international agreements and declarations have been broken by the State of Bangladesh in carrying out hasty tribunals which constitutes as pre-poll rigging to thwart pro-Pakistan political parties, it is indeed a matter of global importance, even though none of the 195 were related to JI. A law or decision that grossly violates fair disposition of justice in courts and human rights, is never free from global scrutiny and political pressure. This case is no different. 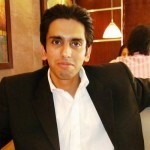 Mr Jinnah was the genuine product of the colonial East Indian Company who with a number of administrators using the unique strategy of divide and rule, were able to colonise the entire sub-continent. The guy was neither a visionary nor a genious but simply a good fellow traveller who took a number of comrades and the manifesto of the muslim league in baggage and crossed over to the promised land leaving millions in turmoil on both sides of the border . What remains of him today is a symbolic photo decoration in Government offices. someone kills civilians, they are considered war criminals. In a civil war only civilians are in action not soldiers per say, Pakistan army not the people of pakistan, has committed the crime against humanity by waging a war against the countrys own population as it is currently engaged in KP and Baluchistan using the terminology of miscreants, exemists and terrorists in place of resistance as was the case in former East Pakistan. The Tripartite Agreement related to 190 odd Pakistani citizens who had been arrested for war crimes. They were not tried and were repatriated to Pakistan. These sentences relate to Bangladeshi citizens, and Bangladesh judiciary has found them guilty and sentenced them to death. You may disagree with the decisions, as no doubt the rest of the world does in relation to the military courts of Pakistan, but does not give you the right to interfere. The ‘image of Pakistan’ argument doesn’t hold much water, I’m afraid. A criminal is a criminal. If that criminal had links to another country, who is now concerned about its image, maybe that country should not have had relations with such persons in the first place. The point is that, in the view of the Bangladesh courts, some persons have been found guilty of serious crimes which were punishable by death. Presumed injury to Pakistan’s image is incidental. You people have to deal with it. Did Kashmirs and Sikhs are demanding new land due to operation by Indian Forces. So why Sheikh Mujeeb was demanding Bangladesh…If he was a patriotic Pakistani he would try to resolve issues through parliament.. I have not such a view of Mr Hamdani in his articles who is definitely a pucca muslim but anti- political established organisations who instrumentalise the name of Islam more or less similar to those who use the term ‘muslim’. With r negard to the episode of revenge killings in Bangla Desh, this is evil and the one who is orchestrating it on er watch evil too. Those who are committed to violence and kill humans, do not belong to the human race nor have an association with any faith. By her own act she has condemned herself in this world and the world after death. This is what the scriptures say. I thought that was a interesting and an informative read……..I liked the way you correctly pointed out that without the Bengalis there would have been no Pakistan. If I proposed that Pakistan be split into 4 parts, each part will have almost full autonomy and the freedom to declare independence after 10 short years, not a single Pakistani would even consider the thought. Pretty hypocritical of Pakistanis to expect Congress to accept such a proposal with same conditions. Besides, there was no obligation on the part of the Congress to accept it. It initially considered it, but later decided to pass on it. How can you force a deal onto an uninterested party? Jinnah accepted it, yes, because it was beneficial to him and Pakistan was to get a much bigger land share. Why on Earth would he reject the CMP? If CMP had been accepted, India would be much smaller than today with at least half a dozen states ending up in Pakistan. Nehru saved India. Language of a Nation State whose majority pupils speak Bengali should be Urdu? Does that even make sense? Before the existence of Bangladesh, it was East and West Pakistan, but still Pakistan. The Bengalis who are being tried now were then also Pakistanis. What you are suggesting is that the Bangladesh govt, and the Awami League has found groundbreaking new evidence about 40 years after the war, and after being twice before in power, and after these JI leaders have already spent their lives as a vital cog of Bangladeshi politics. Also you keep stressing criminal is a criminal when the facts around this case are suggesting this is not the case, which is of course a point you are consistently ignoring. Like I said before as well, what Bangaldesh is doing is an international concern for Human Rights. Their ‘International War Tribunals’ are hardly recognized by any of the leading War Tribunals in the world, and the scandals around the injustice of these cases has also come to the fore. I have made other comments in this conversation as well, you can do a quick read if you are unfamiliar with it. 300 were killed in Nellie. Don’t lie. It was another tribe who are today mostly Christians killed them. I see you’ve dropped the Tripartite Agreement and Pakistan’s image arguments. I don’t think there is any doubt about the guilt of these people. If Bangladesh’s politicians found it inconvenient to try them earlier, it doesn’t lessen the severity of guilt. What is happening in Bangladesh today is hardly unique – it has happened in Armenia and other parts of the world where there have been internecine conflicts. Yes, the objectivity of these courts can be questioned. Again, this is hardly unique for this part of the world. The bottom line is that Bangladesh is a sovereign country, conducting trials under their law. For Pakistan and Pakistanis to blatantly interfere in this process is to beg the question of its own processes in its own courts – including military courts handing out death penalties like candy. * East Pakistanis were not trying to wage civil war, it was “Operation Searchlight”, the dispachment of army foot and artillery upon mass people in the midnight of 25th March, 1971 that started the war. “On Nov 27, 1971, the Pakistan Army raided the house of Abdul Awal and other nearby houses at Dhulaurha village of Pabna. Thirty people were held during the raid and brought to a local school before they were shot dead. The prosecution stated that the operation had been conducted under Nizami’s guidance. I haven’t dropped those arguments, my first para was a direct reply to your Tripartite agreement logic. My arguments on those points still stand. There’s a lot of doubt on the guilt, again a concern expressed by many foreign analysts as well; the biggest scandal of course being a recorded conversation of a war tribunal judge taking verdict dictations from Brussels (would be laughable if it wasn’t a death penalty). Also you say objectivity of courts can be ‘questioned’, yet again express no doubt on the guilt. It seems of little importance to you that these very courts were judging the guilt … also no country’s sovereignty protects itself from human rights violations, specially not when its a signatory of all of those conventions. So far, the Bangladesh govt. has been involved in all of it. Massacre of protesters. Forceful oppression of opposition parties. Elections rigging. Interference with the judges of their courts. Constitutional amendments in violation of the Treaty of Rome. Justifying interference in another country’s judgments because they ‘fuel anti-Pakistan’ sentiments is a very slippery slope indeed. Tomorrow, if a MQM member is sentenced to death by Pakistan’s military courts after judging him a RAW agent, do you think India would be justified in summoning Pakistan’s High Commissioner for a dressing down? After all, that could also be construed as fueling anti-India sentiments. If that is true, the High Commissioners of India and Pakistan would have no time to do anything else other than trudging back and forth between the Foreign Ministry and the High Commission. Worshipping a man whose vision was so flawed and short sighted is pointless. A million lives lost, please enlighten us what was gained ? Read the Constitution of both India and Pakistan and tell us frankly in which country would any thinking and freedom loving individual wish to live. Pakistani’s want to escape their country spending all their worldly possessions and risking their lives. Why, why ? Does any Muslim want to emigrate from India to Pakistan ? Why not ? An article on the legal issues with the trials – my friend if you can question the courts you can question the guilt. There’s no two ways about it. If you are saying you are already confirmed about their guilt, it only shows inherent biases, not objective fact finding. It’s pretty much the same what the current BD govt has done. No surprises there then that you are supporting it.